Pass Your DOT Medical Exam! Dr. Krestow knows how important it is that you continue your livelihood as a commercial driver. With his extensive knowledge of the DOT Physical Exam medical guidelines, Dr. Krestow will steer you through the DOT Physical Exam requirements so you can Keep on Truckin’. Looking for a DOT Physical Exam or CDL Physical Exam in Miami, Florida? You’ve come to the right place! Dr. Victor P. Krestow is a charter fellow of the American Academy of Family Practice (FAAFP). 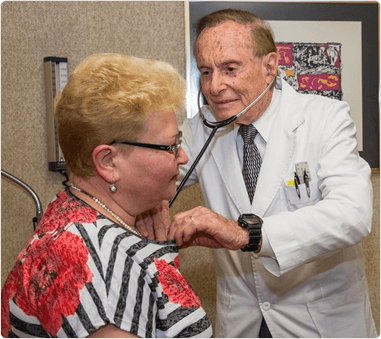 A diplomat of the American Board of Family Medicine, Dr. Krestow has been practicing family medicine in the Miami area since 1968. As an expert in work-related injuries, Dr. Krestow is a certified Medical Review Officer (MRO) and an Expert Medical Advisor (EMA) for the State of Florida Division of Workers’ Compensation. He also served as the South Florida Medical Director of the FBI from 2001 to 2011. Prior to moving from New York to Florida, Dr. Krestow served in the US Air Force, as both a Captain and medical officer. He then served in the USAF Reserves. From 1994 to 2002, he was a clinical assistant professor in the Department of Family Medicine and Community Health at the University of Miami School of Medicine. Dr. Krestow is dedicated to providing premier family and occupational medicine to his patients in the North Miami-Dade area.